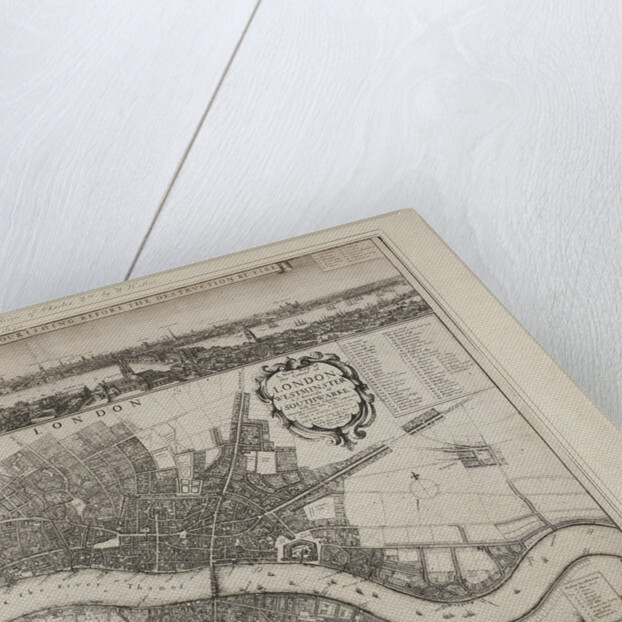 Hollar's map of London of 1675 is a bird's-eye view of London and the suburbs and is invaluable in documenting the 17th century expansion of London. 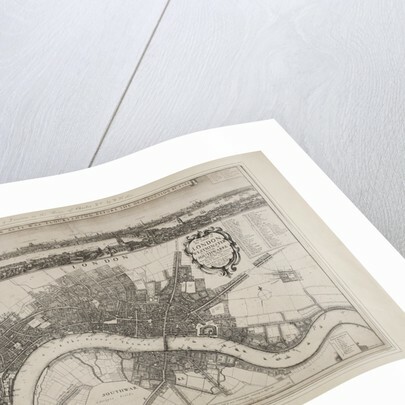 Along the top of the map a more detailed illustration of buildings along the river Thames is presented, from St Clements to the Tower of London. The caption for the top image reads: Prospect of London as it was flourishing before the destruction by fire. 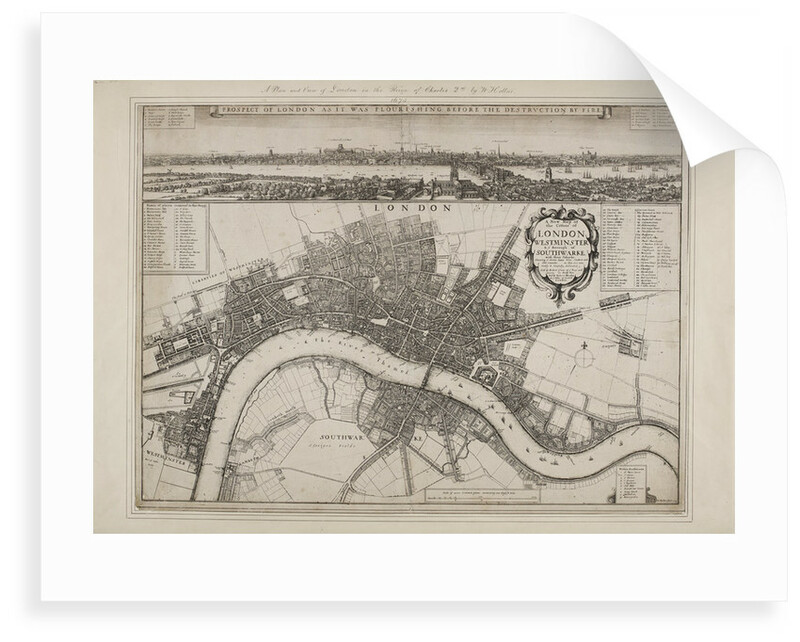 The title for the map belwo reads 'A new map of the Citties of London Westminster & y borough of Southwarke with their suburbs showing the Strets, lanes, Allies Courts etc with othe remarks as they are now, Truthfully & Carefully delineated. 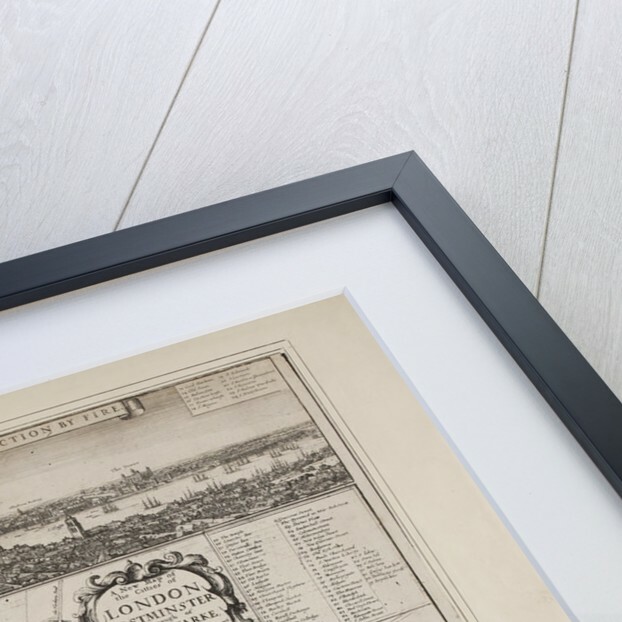 The key includes 93 landmarks and loctaions including 'Westminster Abby' St James's House, Hay Market, 'Charing Crosse', Drury Lane, 'The Strond, the Savoy, 'Bloemsbury Market', Russell Street, Cheapside, Mooregate' and Pauls Churchyard.